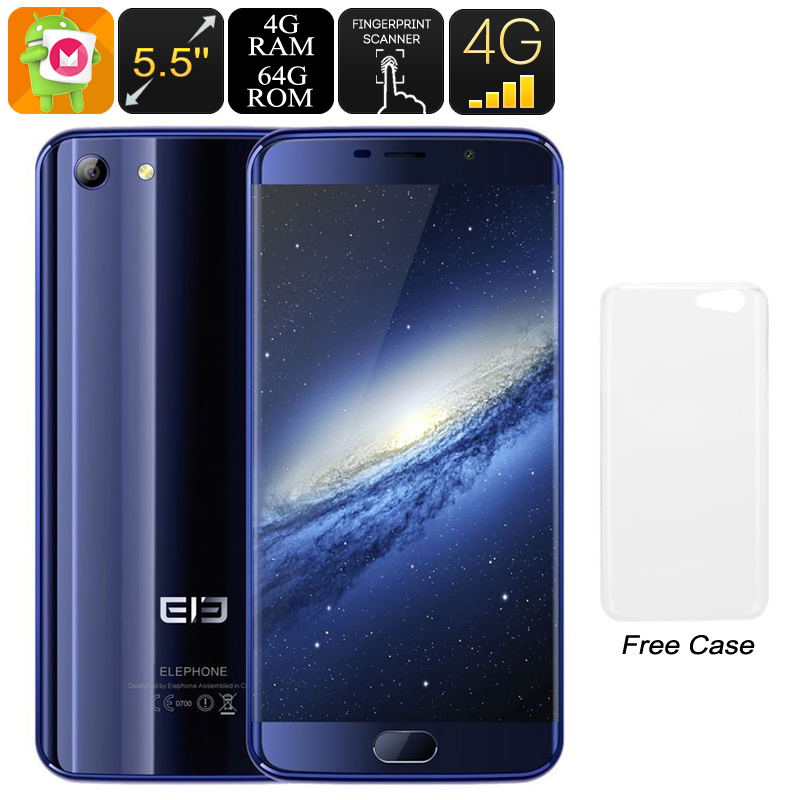 Successfully Added HK Warehouse Elephone S7 Android Phone - Android 7.1, Deca-Core CPU, 4GB RAM, Dual-IMEI, 4G, 5.5-Inch FHD, 13MP Camera (Blue) to your Shopping Cart. The Elephone S7 is a beautifully designed sleek Android phone that lets you enjoy all the latest Android features. It runs on Android 7.1, meaning that it effortlessly tackles all the software features of your liking. With access to the Play Store, you can easily download all the games, Apps, and films of your liking. With its Deca-Core Helio X20 processor and 4GB RAM, this Android phone is capable of handling even the most demanding software out there. Whether you wish to play a game, watch a movie, or enjoy an App – this smartphone is sure to meet all your demands. On the phone’s 5.5-inch Full-HD display, you’ll be treated to crisp 1080p resolutions. This will bring you a stunning visual experience anytime you turn on your device. The display itself features Corning Gorilla Glass 3. This makes it extra tough and resistant to both drops and scratches. A powerful 3000mAh battery is in place that lets you use your smartphone for up to 12 hours in a row. Therefore, you’ll be able to get through multiple days of regular cell phone usage without needing to worry about recharging your Android device. It even comes with a high-end 13MP camera that lets you shoot breathtaking images and 4K video of your next holidays and adventures. In terms of connectivity, this beautiful Android phone comes with Dual-SIM card slots and two IMEI numbers. It lets you slide in two SIM cards and allows you to stay connected to both at the same time. Thanks to this, you can always be reached on two different phone numbers. Additionally, 4G support lets you take advantage of the fastest mobile data speeds out there. No matter where you are, with this Android phone you’ll always be able to browse the web and stay connected. The Elephone S7 smartphone comes with a 12 months warranty, brought to you by the leader in electronic devices as well as wholesale Android phones..